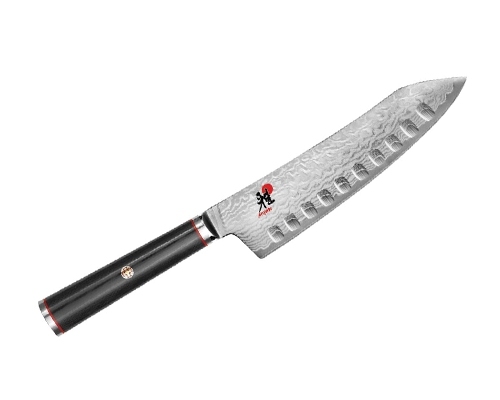 Miyabi Kaizen (Japanese for "improvement" or "change for the better") knives combine the great hardening technology perfected by German cutlers and traditional craftsmanship the Japanese knife makers are known for. 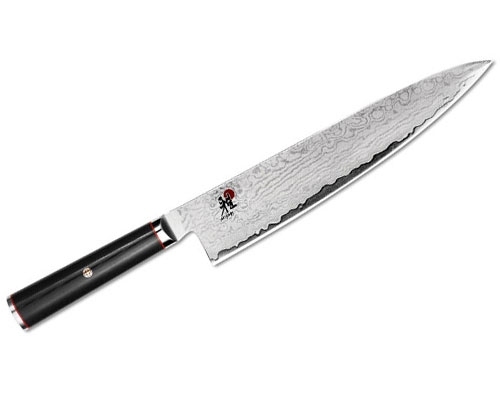 A Miyabi Kaizen knife features 32 layers clad on each side of a VG-10 "super steel" core, creating a beautiful Damascus flower pattern. Each blade is hand-honed using a traditional three-step honbazuke process, which are then Cryodur ice-hardened for enhanced hardness and flexibility. 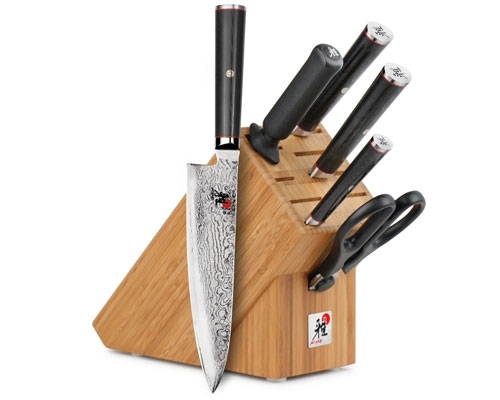 The handles are black Micarta, which are accented with a mosaic pin, red spacers, and metal end cap. Not to be confused with Miyabi Kaizen II, which is an inferior steel type that does not meet Knife Merchant quality standards. The Miyabi Kaizen 5.25 in Prep Knife is longer in the heel than your traditional utility knife, which provides excellent knuckle clearance. 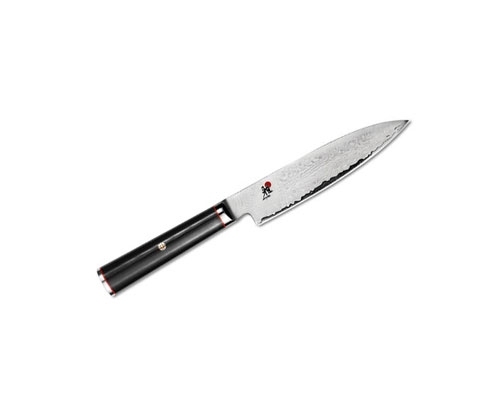 This lightweight knife can be used for shallots and garlic, or to cut the membrane out of bell peppers. 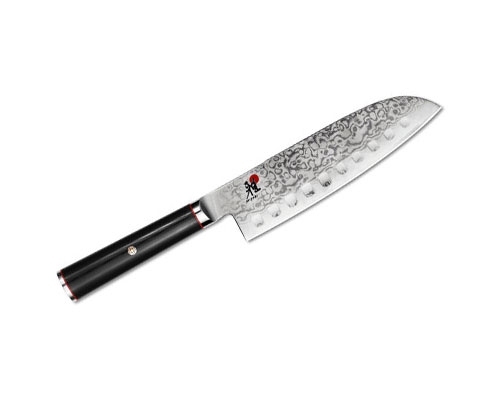 The Miyabi Kaizen 3.5 in. (90mm) Paring Knife is ideal for paring, peeling, and trimming small fruits and vegetables in your hand. The blade has a beautiful flower Damascus pattern, with a VG10 core. 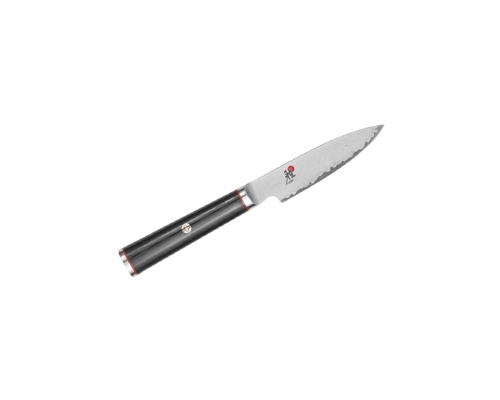 The Micarta handle is complimented by a mosaic accent and red spacers, which is then finished off with a metal end cap. 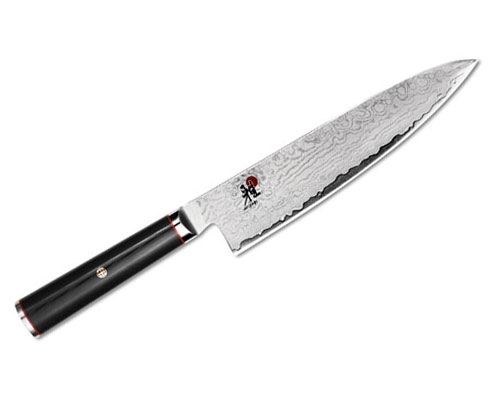 The Miyabi Kaizen 6 in. 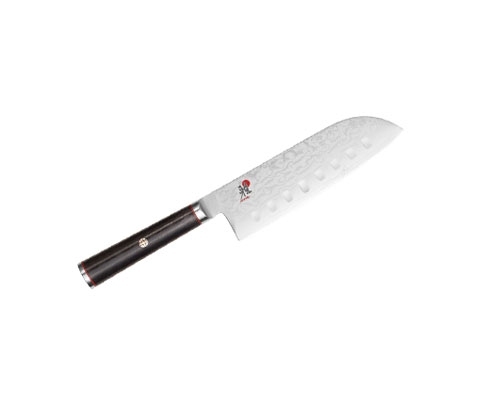 (150mm) Utility Knife is the perfect tool to use when your paring knife is too short and your chef knife is just too big. Use this utility knife when cutting or slicing medium sized fruits and vegetables. The blade has a beautiful flower Damascus pattern, with a VG10 core. The Micarta handle is complimented by a mosaic accent and red spacers, which is then finished off with a metal end cap. 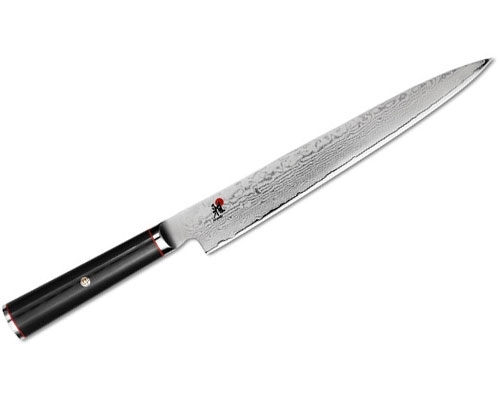 You will be the envy of all your friends and family during the holidays with the Miyabi Kaizen 9.5 in. 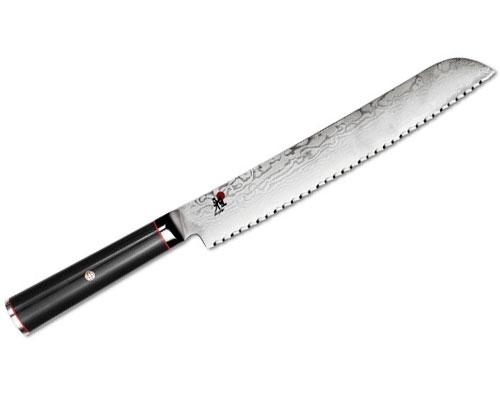 (240mm) Carving Knife. This carving knife features a thin blade, that works well when slicing roasts, chicken, ducks, and tenderloin. 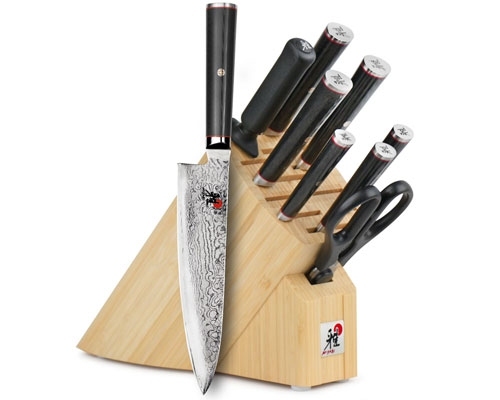 Each Kaizen knife features a Micarta handle, which is accented by a mosaic pin and red spacers, and finished off with a metal end cap.